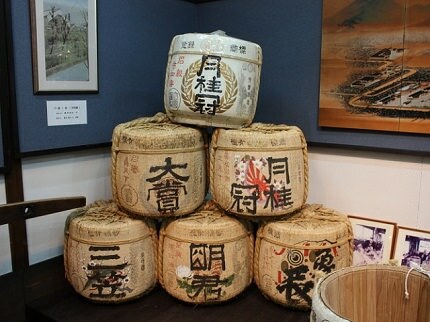 The Gekkeikan Okura Sake Museum introduces you to the fascinating history of sake brewing with its nostalgic buildings, tasting experience, and valuable collection of traditional brewing tools. From among the 6,120 brewing tools designated by Kyoto City as folk craft cultural assets, some of the most representative items used in the various stages of the brewing process are on display here. 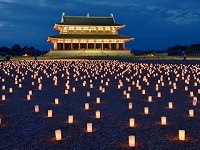 While enjoying the exhibits, you can hear recordings of traditional sake brewing songs sung by brewers of bygone days. Gekkeikan Okura Sake Museum has faithfully reproduced the atmosphere of an old sake brewery. The Gekkeikan Okura Sake Museum was constructed in 1909 and has over a hundred years of history. 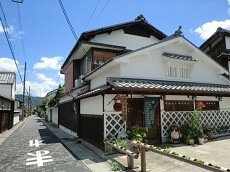 However, Gekkeikan itself was established in 1637 and the sake brand has almost four centuries of history. A key ingredient in creating Gekkiekan’s exquisite sake is the high quality subsoil water of the Fushimi area. 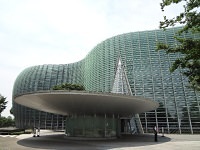 The museum offers a sake brewery tour and sake tastings at its tasting room where guests can try three different types of their sake and plum wines. Gekkeikan became well known in Japan in 1910 when bottled sake with no added preservatives began being sold at the local stations. 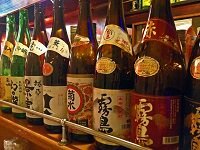 Since then, the company has put efforts in creating various types of innovative sake such as sugar-free sake and alcohol-free sake. In recent years, Gekkeikan’s sake has made its way to the U.S., introducing Japanese sake to a greater audience.